Flea's World: Contest Coming Soon! Today's my busy day. Leaving-in-ten-minutes-won't-be-home-till-four-leaving-again-shortly-after day. Put-corned-beef-and-cabbage-in-the-crock-pot day. Yay! All that to say, this is simply a reminder post. 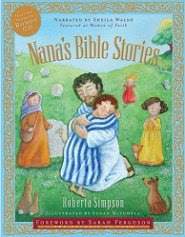 Sunday, March 16th, I'll be posting an interview with a children's book author, a woman who, at 70, published her first book. The interview is interesting, yes, and the contest to go along with it will also be interesting. The book itself - new and with unopened CD narration by Sheila Walsh - is the prize. Y'all come back now, y'hear? Have a great day and enjoy your dinner! Ok... so this comment is nothing about the actual post. LOL at Sports Mama. Poor Flea. I'll be back for the interview - I rarely miss you if I can help it. I dont' TiVo but I DO have a Google reader. Can you post the recipe, I'm just not craving it! that was supposed to say "I'm just NOW craving it".